If you want to add some spice to your social media marketing campaign, you may want to consider using video. Not only do videos eliminate the need for giant blocks of daunting text, but they also allow your viewers to get to know you and other members of your team personally. Videos appeal to visual learners and are much more engaging than static forms of communication. There are many free video platforms from which to launch your new creation. And search engines love them–making videos the wise SEO choice. Here are a few ideas that will make your foray into the land of videos easier. These videos are highly effective because the customer gets to vicariously experience the thrill of buying your product–encouraging them to place an order for themselves. Most people hate plowing through product manuals or struggling with assembly instructions. Complicated information is much easier to understand if it is presented visually and verbally–which, again, explains the appeal of video. Product demos are perfect for introducing a new offering, showcasing a product’s benefits and special features, or informing customers on how to care for a product. They also show your customer base that you care about them and are willing to provide ongoing support. Customer purchases are influenced by product reviews, so why not use video to show off your vast array of happy clientele? Not only will this attract new business, but it will also make your “stars” feel very special. Here are a few testimonial ideas. • Conduct an interview with one of your best clients and encourage them to share the reasons why they enjoy your company and the products you offer. • Film a continuation of your original “unboxing,” showing the satisfied customer putting his new purchase into action. • Use snippets of praise from many happy clients to create a video montage. • Invite your customer base to upload their own videos that show your products in action. Customers love to deal with business people who feel like friends, making a corporate tour a great way to use video. Introduce your staff, show them the action “behind the scenes,” have them shadow you and experience a day in your life, or show snippets that highlight your company’s culture. This will give your company a human face and work wonders in fostering customer loyalty. Nothing creates excitement like a special event–and nothing spreads this excitement better than a clever marketing video. 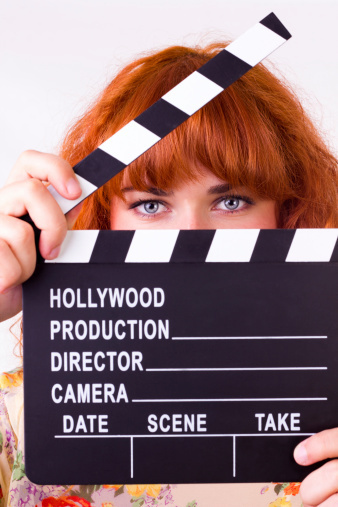 Here are a few ways to incorporate an event video into your repertoire. • Hop onboard the bandwagon of a hot trend. Whether it’s taking the cinnamon challenge, creating your own gangnam style clip, or your making own spin on any other viral fad, have fun and watch your audience explode. • Let viewers shadow you as you attend a trade show, conference, or other “insider’s only” event. • If you are invited to speak at a special event, make sure that you videotape this opportunity. This will solidify your image as an expert in your field and impress potential clientele. • Share your volunteer and other altruistic endeavors with your followers by presenting a video of you in action. When creating videos for your social media marketing plan, use your imagination and have fun. And always have your camera on hand. You never know when the perfect video-making opportunity will arise. What ideas can you share for creating an effective marketing video? I am a freelance writer, avid blogger, illustrator, and aspiring novelist who thinks the world is a terribly funny place filled with bizarre things to observe--and, of course, comment on.